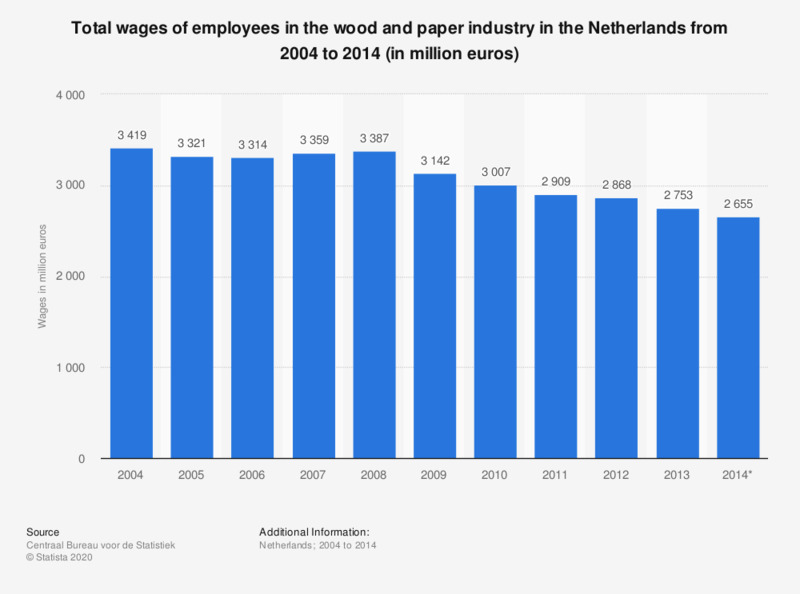 This statistic displays the total wages of employees in the wood and paper industry in the Netherlands from 2004 to 2014 (in million euros). In 2014, people employed in the wood and paper industry together earned approximately 2.7 billion euros. The source defines the compensation of labor as: "wages of employees and social contributions paid by employers and an attributed share of labor compensation for the self-employed, less the subsidies on wages provided by the government." The source explains that this category contains "the manufacturing of wood and paper and of products of wood and paper" as well as printing.